The 40-acre Woodend Nature Sanctuary, just minutes from our nation’s capital, is the headquarters of the Audubon Naturalist Society. Come enjoy the serenity of our wildflower meadow, walk our meandering trails, visit our native plant garden, and explore the aquatic life of our pond. Also, don’t miss the wonderful selection in our Audubon Naturalist Shop. ANS has created a Woodend Restoration Project Summary - a roadmap to making Woodend the premier environmental learning destination in the DC metro region. Admission is free. Trails are open daily dawn to dusk. Please leave your pets at home. Woodend Mansion is one of the few remaining grand old estates in Montgomery County. John Russell Pope, architect of the Jefferson Memorial and National Gallery of Art, designed the house in the late 1920's for Captain and Mrs. Chester Wells. The Wells Family bequeathed the Woodend Mansion and property to the Audubon Naturalist Society in 1968. The Mansion is listed on the National Register of Historic Places and the Montgomery County Master Plan for Historic Preservation. Please note: Woodend’s vehicle entrances feature deer exclusion grates, which also preclude pedestrians and cyclists from crossing. All pedestrians and cyclists should enter Woodend through either the pedestrian entrance on Jones Mill Road to the right of the vehicle entrance or the pedestrian entrance on Brierly Road to the right of the vehicle entrance. Crossing the deer exclusion grates on foot or on a bicycle could result in injury. “…Susanne Ortmann and Christine packed a day to the brim with hands-on activities that we could bring back to our classroom and use with our students. This included the STEM approach to each lesson and how we could integrate all of the core subjects into each activity. The sheer enthusiasm of the participating teachers made it easy to see how positively our students will react to these lessons. Enjoy nature at the Rust Nature Sanctuary throughout the year. 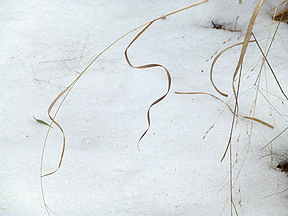 Each season has something to fascinate nature lovers, from spring frog choruses to turkey tracks in the snow. Our 68 acres encompass meadows, forests, and ponds where you'll find a variety of wildlife and plants. During a visit, you might encounter nesting songbirds from the tropics in the oak-hickory forest, a fox hunting in our meadow, or colorful dragonflies darting above the pond. Come and enjoy the Rust Nature Sanctuary anytime from dawn to dusk, seven days a week, every day of the year. FREE admission fee. Bring your binoculars, camera, and a picnic lunch. Take photographs, and leave with pleasant memories and plans to return again and again. 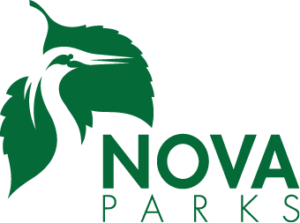 Rust Sanctuary is a partnership between the Audubon Naturalist Society and NOVA Parks. Rust Watershed Adventures (RWA) is a partnership project of LCPS Science Office and the Audubon Naturalist Society. RWA is a free, grant-based program offered for either 3rd or 5th grade. This program will continue as long as funding is available. Note: Alumni schools are encouraged to apply so grade levels who did not participate in previous years are served. The Rust Manor House is a site rich in Virginia history and public service. It was built in 1910 by Henry Harrison, a descendant of the first European recorded as visiting Loudoun County, for his wife, Anne Lee who was a cousin of Robert E. Lee. Anne lived here until her death in 1928. Having no heirs, she left the property to the St. Emma Agricultural and Industrial Institute, a school for young black men established by an order of nuns near Richmond. William Fitzhugh Rust, another scion of a distinguished Virginia and Loudoun County family, purchased the property from St. Emma in 1929 and substantially remolded the house, copying many architectural elements from old Rust plantation homes. William died in 1940, but his widow, Mary, lived in the manor house and operated the property as a dairy farm through World War II. After the war she and her son sold the property to Ida K. Polen, a very successful business woman from Arlington. After Ida died, the property was put up for auction and William Fitzhugh Rust, Jr., the son of William and Mary, bought it. He also donated the land for Ida Lee Park and The Rust Library to the Town of Leesburg..
Funds for the garden were donated in memory of former ANS President William D. Blair, Jr. by his family. 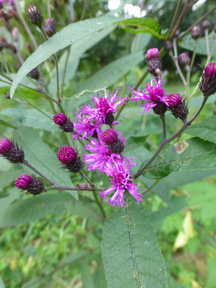 The Blair Native Plant Garden consists of native plants that can be seen readily in the wild in the Chesapeake Bay Watershed, specifically in Maryland, Virginia, and the eastern West Virginia panhandle. 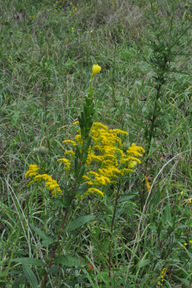 Plants were chosen for value to wildlife, seasonal interest, and ornamental features. Careful consideration was given to excluding plants known to be particularly palatable to deer. The garden design incorporates the three physiographic regions of the Chesapeake Bay watershed: Coastal Plain, Piedmont, and Mountain. 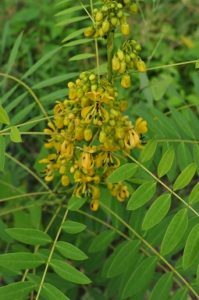 The benefits of gardening with native plants are numerous and significant. 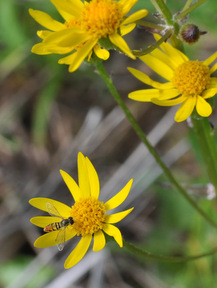 Native plants are adapted to local soil and climate conditions and have evolved to develop mutually beneficial relationships with local wildlife. Carefully planned native plant gardens require less maintenance, use fewer resources, and offer appropriate food and shelter for wildlife. 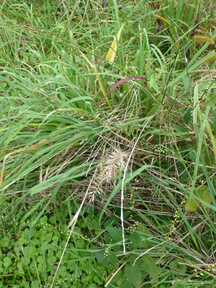 They create habitat for birds, small mammals, reptiles and insects including important pollinators. 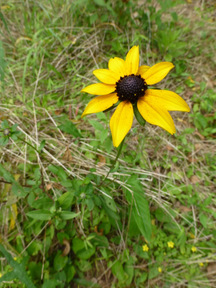 For native plant field guides and books on gardening with native plants, visit our Audubon Naturalist Shop at Woodend. Drop by our Blair Native Plant Garden, just outside the Sanctuary Shop, during April to enjoy the earliest blossoms of spring. Showy Bloodroot is likely to have come and gone, but Spring Beauties should be at their finest on sunny days throughout the month. Dutchman’s Breeches, Virginia Bluebells, and Moss Phlox add bright hues to the garden, as Flowering Dogwood blooms overhead. The shad run starts in April, so don’t be surprised to find Shadbush, also called Serviceberry, bursting into bloom. And this list is only a starting point, as many other species in the garden respond to warming soils and seasonal rains. The greening of the Blair Garden continues throughout the month of May. 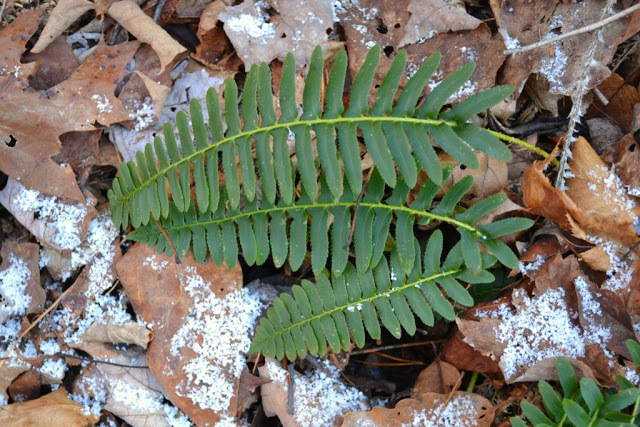 Ferns have broken ground by now, and the new fronds of Christmas, Royal, and Maiden Hair ferns, to name a few, are lovely. Wild Columbine displays its showy hoods, alongside the blossoms of Wild Geranium. 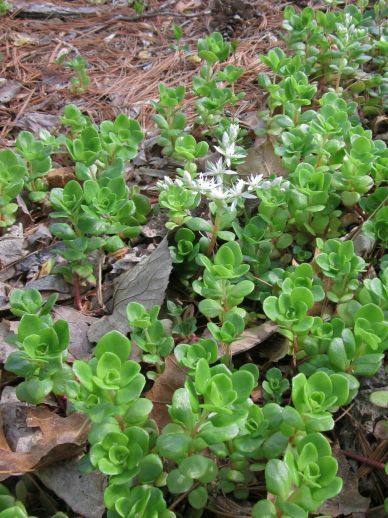 Look under the White Pine for Wild Stonecrop, Wild Ginger, and Partridgeberry, all native groundcovers suitable for a home garden. 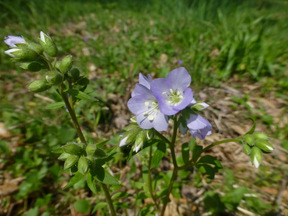 By the end of the month, the garden's spring ephemerals—such as Dutchman's Breeches, Rue Anemone, Virginia Bluebells, and Spring Beauties—will have set their fruits and mostly died back, ending their short but glorious spring show. 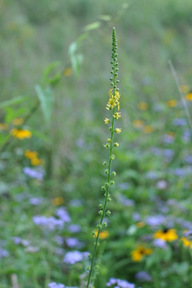 The striking, white flower spikes of Black Cohosh light up the garden as summer officially arrives. 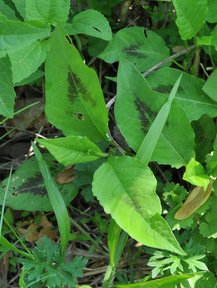 Also called Fairy Candles and Black Snakeroot, this species thrives in woodland where there is mixed sun and shade. Surprised to see a cactus in our garden? Eastern Prickly Pear grows throughout the mid-Atlantic, in sunny, well-drained habitats as close as Great Falls. 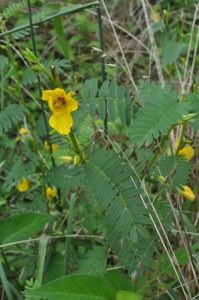 Look for its crinkly, yellow blossoms this month. Two shrubs, both suitable for home gardens, also start flowering in June. The Pasture Rose sports fragrant pink blossoms, while the moisture-loving Buttonbush attracts butterflies and native bees with its orbs of tiny white flowers. If you don't have time to visit the higher elevations of our region this summer, enjoy a walk through the garden's montane stretch where Wild Bleeding Heart, Goat's Beard, and spreading sedges grow. 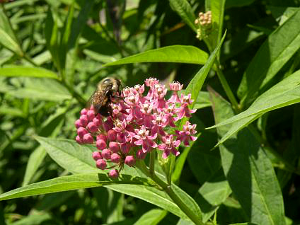 Wetlands in our region thrive on the sunny, muggy days of July, so this is a good month to check out some of the native species in our garden which favor moist soils. 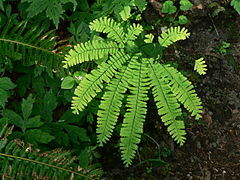 Look for most of them in the Coastal Plain section, near the benches and the water feature. Have a seat. 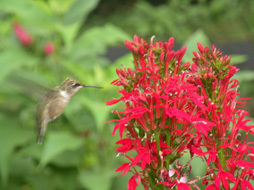 Maybe you’ll be lucky enough to see a Ruby-throated Hummingbird feeding on the crimson blooms of Cardinal Flower. 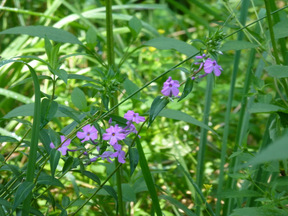 Notice the lavender blossoms of the nearby Monkey Flower. 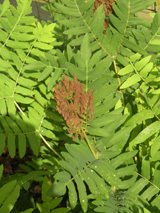 On your right, consider the Soft Rush and the Royal Fern, neither of which sport bright colors, but both of which add natural, sculptural elements in a garden. 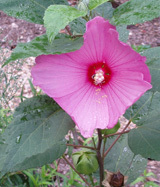 By the end of the month, the towering Swamp Rose Mallow should be in bloom, beginning its showy display which lasts through late summer. August is the month when we start to enjoy the first blooms of the so-called Confusing Composites. 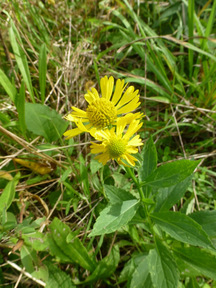 Species in this huge plant family—asteraceae—are characterized by heads of many tiny flowers packed tightly together. Did you know that the radiating, petal-like parts of a daisy are actually individual flowers? 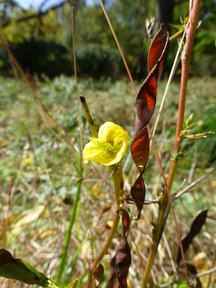 Most composites are sun-lovers, and many will bloom until the first frost. 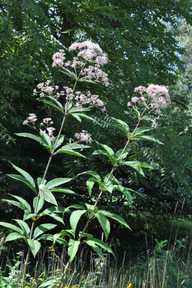 In our Garden, the pink Joe-pye Weed and the fuschia Ironweed are highly attractive to butterflies. 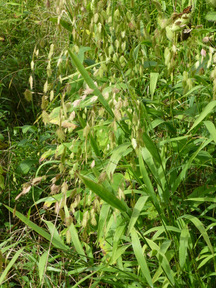 In wet years such as this, both of these species can grow to 6 feet-plus, so we cut them back a foot or so in June. Don't worry, they quickly sprout new and bushier growth. Hyssop-leaved Boneset, Smooth Aster, White Wood Aster, and Blue-stemmed Goldenrod join their taller cousins in our late summer garden. If you visit this month and catch a pleasant scent, it's probably the Sweet Pepperbush, whose August blossoms draw in many pollinators. With the flip of a calendar, summer's passage is clear. Yet, there is still plenty of colorful bloom during September in the Blair Garden. Thanks to our mild, mid-Atlantic climate, asters, goldenrods, eupatoriums, and others of their kin will continue to flower until shorter days and chilly nights shut them down. 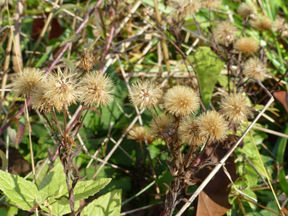 Now is a good time to take note of the flowering and fruiting grasses in the sunny end of the garden, near the benches. 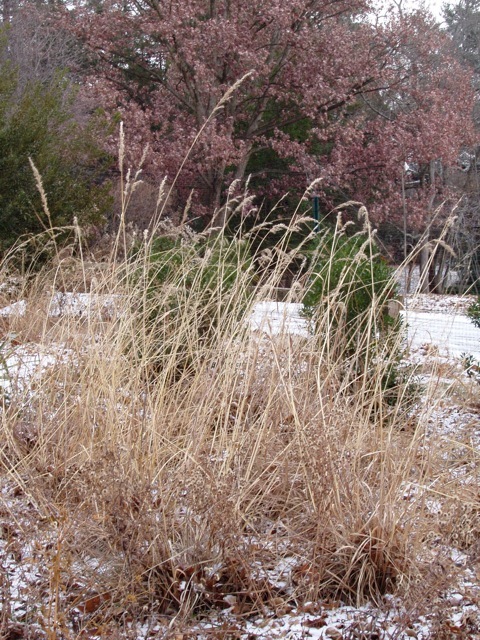 Often overlooked by home gardeners, native grasses add structural interest throughout the fall and winter, while providing vital food and cover to songbirds. 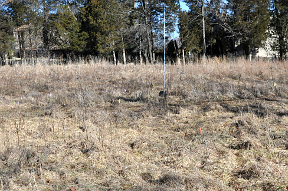 Check out our small stand of Big Bluestem, also called Turkey Foot, and the nearby cluster of Switchgrass. Both of these species are dominant members of the Tallgrass Prairie ecosystem, which once covered vast areas of the central United States. In the Northeast, these grasses grew naturally where there were forest openings or rocky barrens--and they continue to do so today. Look for the showy, but shorter, Purple Love Grass, whose stature is confirmed by one of its other common names: Petticoat Tickler. 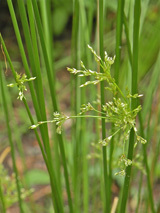 You can study our patch of Little Bluestem, a species that can withstand drought and neglect, just inside the lower gate. There are many ways to incorporate fall color into a native plant garden, and an October stroll in our Blair Garden bears this out. With the season’s shorter days and dropping temperatures, the depletion of green chlorophyll reveals bold, golden hues in the leaves of Spicebush and Pawpaw. 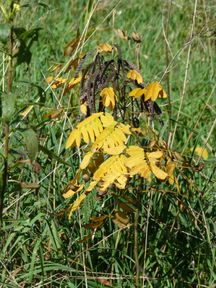 In the Serviceberries, also called Shadbush, leaves take on varying shades of vibrant crimson and orange. 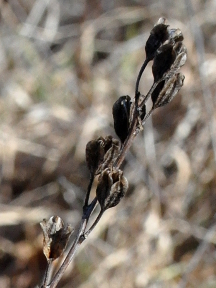 But in some plants, it’s not the foliage but rather the fall seedpods, botanically called fruits, that grab the eye. 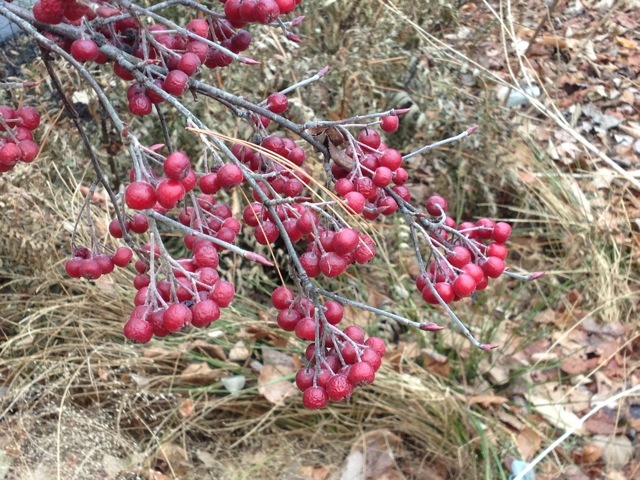 The cherry-red fruits of Winterberry, a deciduous species of holly, are showy now—and will be so throughout the winter. On Strawberry Bush, nubby hot-pink fruits open up to reveal scarlet seeds, giving rise to the shrub’s other colorful name: Heart’s a Burstin’. There are even lingering blooms on the Smooth Aster (lavender), Heart-leaved Aster (white), and Wild Bleeding Heart (fuchsia), adding spring-like contrast to the dominant earth tones of autumn. ‘Neath the pines, ‘neath the pines, where the sun never shines. So go the lyrics to an old-timey song. Not only do the needles reduce sunlight and rainwater from reaching the ground, but they acidify the soil after they fall. Add to that the problem of surface roots, and the home gardener is left wondering whether there is anything that will grow under a conifer. This month is a good one to check out what’s been successful under the towering White Pine in the Blair Garden. 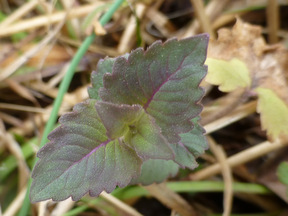 To our surprise and delight, three species of native groundcover have spread much more rapidly than expected. 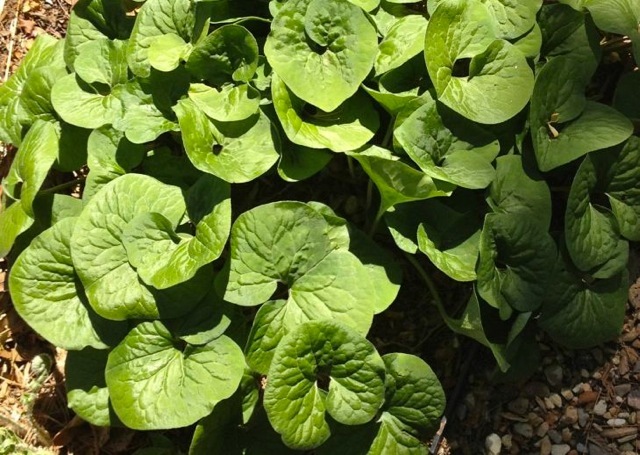 Look for the velvety, kidney-shaped leaves of Wild Ginger and the succulent vegetation of Wild Stonecrop, both of which break ground in spring but can remain green well past the growing season. You’ll need to return in April to admire the maroon flowers of the former, and the white blossoms of the latter. 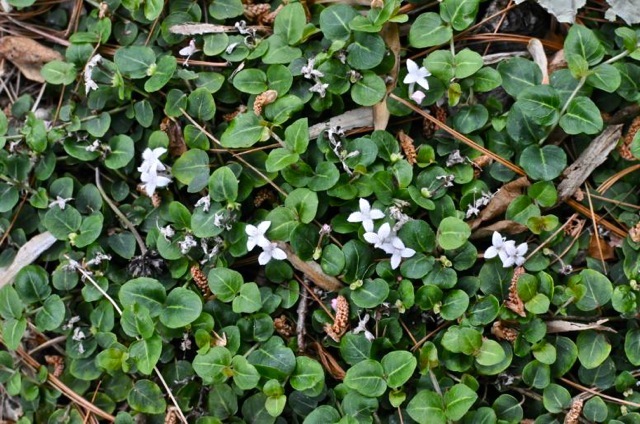 Less robust, but truly evergreen, is the Partridgeberry with its tiny, ground-hugging leaves. 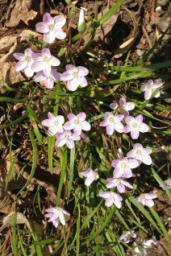 Come back in June to see its equally diminutive pinkish blooms. Once a few frosts have snuffed out the final blooms of the year, it’s time to put the garden "to bed." With a native plant garden such as ours, that means thinning out the season’s most successful species, while weeding out the last of the season’s interlopers. Otherwise, we leave the Blair Garden standing. 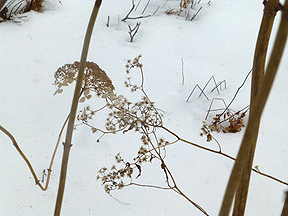 The botanical skeletons of summer, from short grasses to lanky Ironweed, serve as nature’s granaries for Dark-eyed Juncos and other overwintering birds. 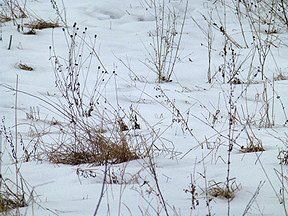 When winds blow hardest, birds seek shelter in the dense cover of uncut stems, where well-camouflaged butterfly pupae attempt to pass the winter uneaten. 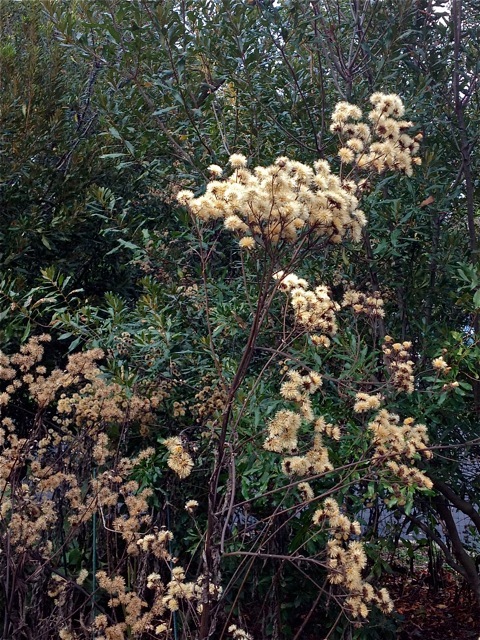 Of course, there’s the aesthetic aspect of a winter garden to savor: many seed heads look like dried flowers themselves, and the dominant hues of russet, buff, and brown contrast to perfect holiday effect with the fruits of Red Chokeberry and the evergreen fronds of Christmas Fern. 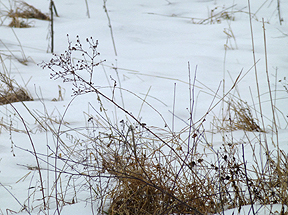 Snow remains on the gravel paths until it melts naturally, so wear boots or look through the mesh deer fence to see how snow sets off the wintering plants. 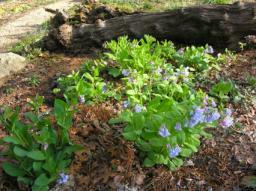 The Blair Native Plant Garden is open for exploration during Woodend Sanctuary Hours (dawn-dusk). Just open the gate and stroll the path, discovering the many species of local, native plants you can plant in your own home garden. Don’t forget to close and lock the gate when you leave to ensure that deer don’t enter the garden. Garden design by landscape designer Jane Collins with Thornton Burnet, co-owner of Concepts and Contours, Inc based in Arlington, VA. 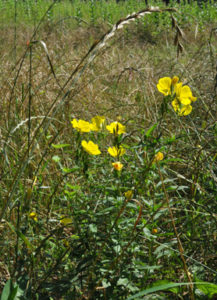 In 2013, ANS began restoring a large section of meadow at Woodend Sanctuary. 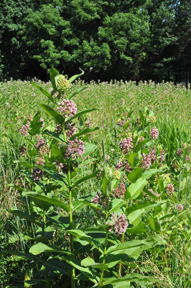 Larry Weaner, a horticulturalist specializing in native plant gardens and meadows, identified plants appropriate to the upland, lowland, sunny and shaded areas of the meadow, mixing in a large proportion of deer-resistant species. 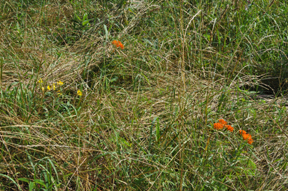 In late summer, staff and volunteers prepared the site: moving fauna to safety, raking, mowing, removing existing plants (many alien), and sowing a temporary grass cover. 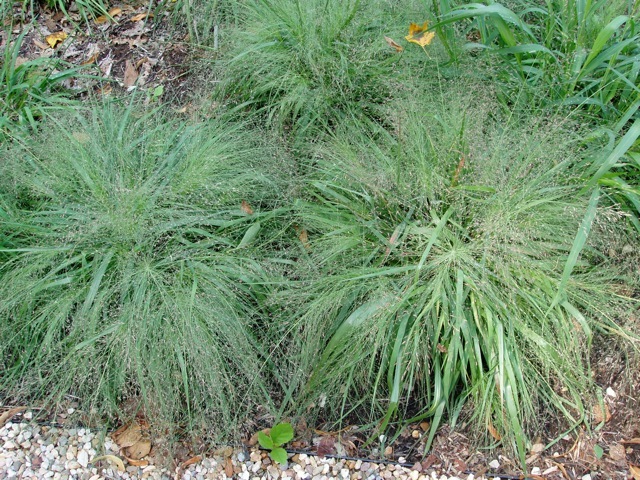 In October, they dug in 3,000 plants and reseeded with native sedges and forbs. 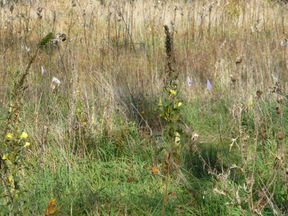 For more information about helping restore the meadow, contact volunteer@anshome.org.